Though I read a lot, I rarely do so at home. You will most often find me in my university's resource centre, hidden upstairs behind a pile of Victorian literature; or you might spot me in the car next to yours, refreshing the pages of my Kindle (hey, mind the road!). And, since many would agree that getting interrupted mid-chapter is hardly the most pleasant of experiences, I leave my heavy reads at home for when I can appreciate them in their full glory, and pick up something short and sweet - a book of less than 200 pages; a novel with not-too-lengthy chapters; a collection of short stories. The list I've compiled consists of some personal favourites which I have read within the last year. And yes, suggestions by you are always welcome! 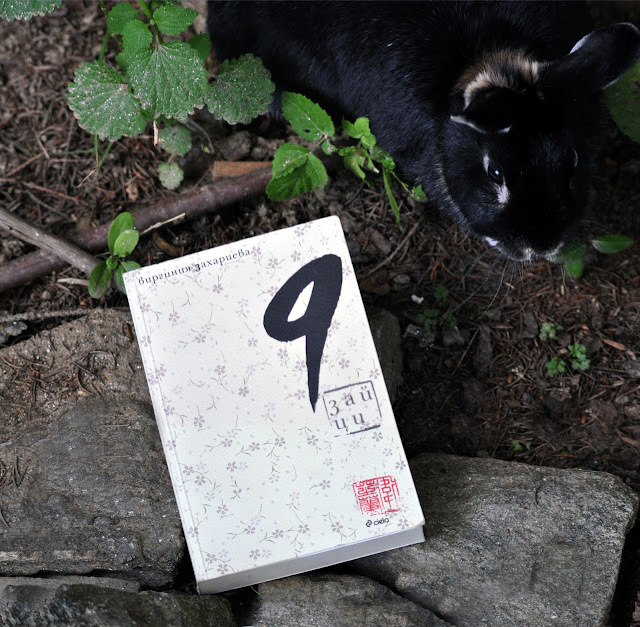 Initially, I had planned on posting a review of Nine Rabbits on its own, as I bought it entirely on a whim and with no prior knowledge of its existence. However, it seemed fitting for this post, and what better way to headline it than with a representative from my home country. In an almost short-story manner, this novel guides us through the mental growth and metamorphosis of its protagonist Manda. We are first introduced in her early childhood - the images of which paint themselves in sepia-tone in one's mind - and then we are re-introduces during the dissolution of her marriage, when she is left to discover herself once more. The format of the book is prefect for reading in fragments (or in other words, while you are on the road or commuting) and I personally loved reading descriptions of the places Manda visits during her metaphorical and literal travels. Beyond those images, however, are layers upon layers of psychology and national history: some are clearly visible, while others are more subtle. I hope that you will be interested in seeing how deep your own analysis can go. Lewis Carroll is a man of muchness - so much that it is simply too much for just one person. It pours through the tip of his quill, building up a universe within our own, in which it will fit. I tried living in Alice's Wonderland myself once, but it was not really the place for me - not enough dragons! This does not mean, however, that I do not fancy a visit every so often. Luckily, Carroll left behind more fragments of Wonderland in his letters - wit, puzzles, wisdom, and charm, all guided by infinite imagination and nonsense. So, next time you find yourself down a rabbit hole, turn to these letters - they may not offer you some very good advice, but they will at least help pass the time when you accidentally get off on the wrong station and have to wait for he next train. Do not misread this - the LOTR series is an eternal inspiration to me, and I it sends goosebumps to the very tips of my pointy ears! The only reason I am not recommending it here is because it is far too vast to be encompassed in a single trip, and it is worthy of no less than readers' full attention. Why not enrich your Middle Earth lore by opting for those works of Tolkien's who do not yet have their own film adaptation? Ever wondered who exactly Tom Bombadil is? Or paid a visit to the Man on the Moon? If you insist, you can pick up a travel-size copy of The Hobbit - the chapters are long, but it is a lighter read than, say, The Fellowship of the Ring, and you will be flying through the pages on the backs of the Great Eagles in no time. Being the hipster that I am, I just had to pick a title that has yet to be translated into English. Never fear, all of Nothomb's books are equally good travel companions, and will easily fit in your bag or backpack. Barbe bleue is a modern retelling of Blue Beard, a French folktale, most famously recounted by Charles Perrault. Whilst the ending may not appeal to all, Nothomb always leaves one reluctant to pause one's reading, even just for a short repose. And, should this book disappoint, you can at least walk away knowing that you have greatly expanded your vocabulary on colours. Palahnuik's horror stories are not the kind you can tell around campfires at night. They lurk in the back of your mind during the day, finding release in items of the quotidian - the carrots in your fridge; the heavy thud of bowling balls hitting the alley floor; the video recorder you got because your favourite vlogger recommended it (or, rather, that which is is in it) . 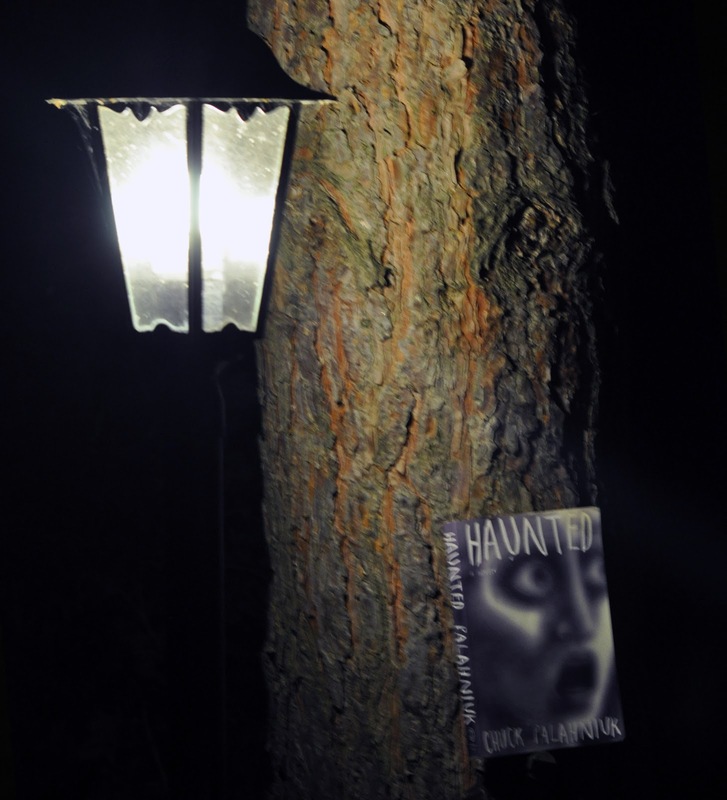 Palahniuk walks a thin line between grotesque and shock value, and this is evident in each of the 23 stories told in Haunted. He brings to light the primitive and superficial in man and offers us his own ghoulish interpretation of Wilde's words "Life imitates Art far more than Art imitates Life". I'm a terrible book lover - I've actually avoided reading because I know that as soon as I pick up a book, I won't put it down. The last time I managed to read a whole series in a matter of a few days and it got so bad that my health was affected and I was really distracted at work. So perhaps these short stories are better for me! Wow! And I thought I was a book lover! As I had suggested earlier, you should write more and more often. As for the books, one thing I was not comfortable reading 9 rabbits was the fact that although we can not describe the book as a total " feminist" book, we fail to meet a decent male character who does not disappear suddenly or withdraws himself. I guess it would not hurt if there were some decent male characaters in the book. Other than that it is definately a must read. Oh, I almost forgot, I loved how water is used as a strong symbol in the book. I have not felt that effect of water on a character since Shelly's Frankenstein. And, the legendary creator of Wonderland.The wit and imagination, the wisdom, sense of absurdity and sheer fun which fill his books shine just as clearly from the many letters he wrote. To me,each is a miniature Wonderland. This will be personal but I have a battle I have been fighting since the release of the first film of LoTR. I just can not accept the fact that Tom Bombadil does not exist in the movie as if he as an insignificant character. But hey after all, the producers can not change what is in my imagination, can they ? I have not read the book you talked about in number four but I sure will have a look at it as i trust your taste in boooks. P.s. Will you activate your ask.fm page or have you finished that chapter of your life for good ? Perhaps you are right about 9 Rabbits, though I will argue that, with the exception of Manda's grandmother, all of the other characters are two-dimensional, whether male or not. The fact is that the first part of the book showcases the biggest influence on Manda during her formative years (the stern hand of her nan), whilst in the second, she is her own teacher. And yes, good observation! I've always loved seeing any of the elements used symbolically in novels. Ahhh, I don't know how to comment on the Tom Bombadil case - his appearance in the book is fleeting, and his role is limited to helping the hobbits, and being mentioned later on, when the question of what to do with the ring arises. In a way, he does almost feel like... not a "filler", definitely not! But as something that could be omitted for the sake of time. However, Tolkien himself says in his letters that he is a crucial character, but not why. My guess is that it has to do with his initial intentions of making "The Lord of the Rings" a sequel to "The Hobbit", plus his blief that, even in a ladnd of myth, some things must remain unexplained. Ultimately, I watched the films before I read the books (shame on me), so I suppose this is why, as mich as I love both Tom and Goldberry, their abscence does not bother me as much. It has yet to be translated but, as I said, I would recommend any of Nothomb's books. Hers are odd stories, usually with unexpected twists towards the end (no, really). My first encounter with her works was "Attentat" - sadly, also yet to be translated into English. I'd recommend "Hygiene and the Assassin", her first ever work, as a starting point to her books. I'm not sure! I deactivated it on a whim, as I did not use it all that often anymore (let's face it, my fifteen minutes of internet fame ended long ago, haha), and when I did, I still could not be bothered to take it seriously, as I once did.